In one of the more bizarre interpretations of justice to emerge in a terrorism trial in the West, Dutch courts have blocked the extradition of Dutch-Pakistani terrorism suspect Sabir Khan from the Netherlands to the United States, citing concerns about the quality of psychiatric therapy he would receive in an American prison. The therapy, they say, is necessary to help him overcome the post-traumatic stress disorder he suffers from being tortured while a prisoner in Pakistan, where he was arrested in 2010 on charges of involvement with al-Qaida, and with twice planning suicide bombings on a U.S. military base in Afghanistan. Khan and his attorneys further maintain that American officials facilitated – and possibly even ordered – his seven-month ordeal. The problem is, there is no evidence of his having been tortured. Even the Dutch consulate to Pakistan, who visited Khan during his incarceration there, said at the time that he "showed no signs of abuse," according to the AP. That should not be all that surprising: Khan has repeatedly lied about his case, maintaining, for instance, that prior to his return to the Netherlands from Pakistan, Dutch authorities had assured him he would be freed once on Dutch soil – a promise they adamantly deny making. Similarly, the only evidence Khan and his attorney, André Seebregts, have offered to support their allegations of American involvement in his torture are the statements of two other Dutch Muslim terrorist suspects imprisoned with Khan, one of whom told Dutch news agency ANP that he had once heard Americans talking with the prison guards. (He could tell, he claimed, that the man was American by his accent.) Pressed further, however, both suspects admitted they never actually saw an American on the premises. Nonetheless, according to an AFP report earlier this year, Seebregts maintains that "Khan's extradition to face five terror-related charges in a New York court would breach the European Convention on Human Rights preventing torture as well as Dutch law, which prohibits the handing over of a suspect to a country suspected of involvement in torture." Khan, also known as "Younis the Dutch," faces a 25-year sentence in the United States if convicted. Clearly, such bullying manipulations of the facts by both the suspect and his lawyer aim at representing the would-be mass murderer as a victim. What is so shocking is that they are so far succeeding: Khan has managed to escape extradition since it was initially requested in June, 2012. 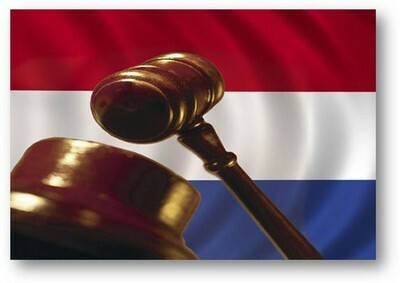 Dutch courts have repeatedly first approved the extradition, only to block it later in a dizzying volley of decisions and appeals. Along the way, the courts have ruled in Khan's favor on the basis of his -- unsubstantiated -- claims of torture, and against the US, demanding America prove it had no part in any torture that may have taken place -- this knowing the impossibility of proving a negative in a court of law. Worse, Khan was released from Dutch prison in April entirely on "humanitarian" grounds, based on the torture that may or may not ever have taken place. This most recent court order is not just dangerous. It is also puzzling. The United States is not denying Khan access to proper psychiatric treatment; it simply will not (or cannot) provide the same kind of treatment he is used to – and which may or may not even be effective (assuming that the suspect suffered PTSD in the first place). Moreover, if the Dutch are so deeply concerned about humane treatment and fairness, one would expect them to consider, too, the right of every man, woman, and child – and in this case, specifically of every American soldier – to be safe and protected from being slaughtered in a terrorist attack. By every measure of "humanitarian" concerns, such security should be paramount. But not, evidently, in the Netherlands, where Sabir Khan now walks the cobbled streets a free man, willing, able – and likely – to kill, a walking bomb with all America as his target. And it seems that no one there will stop him.